Nashville and Middle Tennessee Divorce and Criminal Defense Lawyer serving the Middle Tennessee area with affordable legal services. Our fees for services are very reasonable and the full amount is not due at the beginning. We are willing to work with our clients by providing a payment plan throughout the case as the fees become necessary. Our fees for services are very reasonable and the full amount is not due at the beginning. We are willing to work with our clients by providing a payment plan throughout the case as the fees become necessary. Michael K. Walker handles cases in Davidson, Bedford, Cannon, Cheatham, Coffee, Dekalb, Dickson, Giles, Hickman, Lawrence, Lewis, Macon, Marshall, Maury, Montgomery, Perry, Robertson, Rutherford, Sumner, Warren, Williamson, and Wilson counties. We still may be able to handle your divorce if you reside in a county other than those listed above, just call or email. To get started with the divorce process you will need to call or email us a request for the Statistical Information Worksheets. We can email these forms to you in an about 5-10 minutes or you may visit the Nashville Area Divorce website. Fill the worksheets out completely and call us to schedule an appointment. All that is required to get started is a $200.00 down payment if their are no minor children or $300.00 down payment with children and we will have the divorce papers typed and ready for you at the office or mailed to you. We also offer same day typing making it possible for us file your divorce the same day you come into our office. You may sign the papers at the office, or bring or mail the signed papers back to the office when you are ready for us to file them with the courts. You will have the entire 60 or 90 day waiting period that Tennessee divorce law requires to pay the remaining balance. Tennessee divorce law requires both parents to attend a parenting seminar like the one on the Tennessee Law Links page if there are minor children born, adopted, or expected of the marriage. Divorces handled by Michael K. Walker, Esq. It costs less. - When both spouses are in agreement to all terms of the divorce they can share, or at least cut the cost by getting one attorney. An attorney can only represent one party. If the spouses were to retain separate attorneys to represent them in a contested divorce, each party may be paying a retainer of about $1,500 to $10,000 just to get started and would incur much greater costs which is commonly billed at $175 to $400 or more per hour. You have control. - In an uncontested divorce the couple controls how decisions are to be made, when the divorce paperwork is filed, and on what terms within the Marital Dissolution Agreement and Permanent Parenting Plan. You control the timing of you case. If you need more time for financial reasons, or the parties want to speed the process up to get divorced as soon as legally possible, we will be glad to make either happen for you. If you and your spouse work out your marital problems and decide to stop the divorce, just let us know and we will take appropriate steps to hold the proceedings. All the work is done for you. - Many people who try to do their own divorces run into various difficulties relating to the laws, rules, procedures and requirements involved. 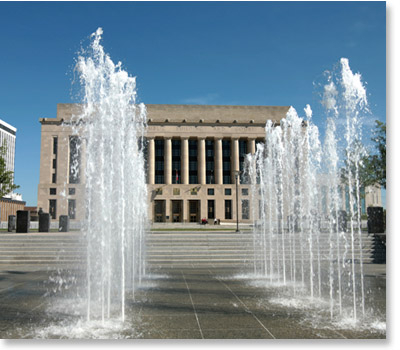 A Nashville Divorce Lawyer can prepare and file all of the necessary paperwork for parties on their behalf. All we will need for you to do is fill out the statistical information relating to the both parties, the child(ren), and property. We use this information to type up the papers. Just call or e-mail us and we will send you the worksheets in 5-10 minutes. Easier on the children. - The worst aspect of a divorce is the conflict between the parents and the way it affects the children. The divorce process will be traumatic at many different levels for the child(ren), but they can better adjust knowing that their parents are working together to make the right decisions and are trying to resolve the situation peacefully under the circumstances. You can still go to court. - When people begin an uncontested divorce, they do not give up their right to fight out these differences in court. If you are not satisfied in reaching an agreement, you can stop at any time, retain separate attorneys, and have the judge decide an appropriate outcome in resolving the issues. You are informed. - You will be provided with the legal information in helping you make your own decisions about what is fair and acceptable by the courts. Mr. Walker is only a representative of the Plaintiff and cannot advise the Defendant. Mr. Walker can explain to the Defendant the procedural questions, obtain statistical information, and share his or her general knowledge of how the court might address the issues about the case, with the Plaintiff's permission. It is functional. - A mutual divorce begins in our office with discussions and tentative agreements that are encouraged to be good-natured. This creates an environment for suggesting solutions to issues that may not have been considered by the parties beforehand or were considered but needed fine-tuning. Talking these things out often leads to new solutions neither party had previously considered and is productive towards successfully reaching an agreement. It builds on the positive. - We emphasize that both parties are encouraged to recognize the positive in one another and strive to find common ground for an agreement. Whatever goodwill remains between the parties should be preserved and not destroyed. This is especially true when there will be future contact between the parties in parenting, post divorce issues, and other social contexts. 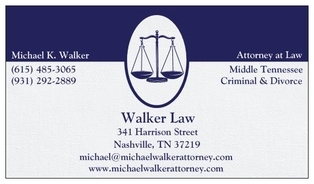 Nashville Criminal Lawyer and Nashville DUI Lawyer, Michael K. Walker, handles various charges involving but not limited to Driving Under the Influence, Theft, Simple Possession, Possession or Casual Exchage, Drug Paraphernalia, Domestic Assault, Public Intoxication, Traffic Citations, Driving on Suspended/Revoked License, Order of Protection Violations, Background Checks, Expungements, Reckless Driving, Robbery, Burglary, Felony & Misdemeanor Drug Offenses, Disorderly Conduct, Probation Violations, Prostitution, Vandalism, Evading Arrest, Obtaining Controlled Substance by Fraud, Resisting Arrest, Indecent Exposure, Public Indecency, Criminal Trespass, and other criminal charges. Getting a job in today's job market is difficult. Increase your chances of obtaining employment, admission to college, or professional license by hiring a Nashville Criminal Lawyer to have your criminal charges removed from your criminal record. With background checks for employment becoming increasingly frequent, many people discover an old charge from the past which hinders them from moving on. A criminal charge does not "go away", or become expunged, on its own. The expungement process to remove the charge must be followed. Oftentimes, people are charged with crimes and have their case dismissed, nolle prosequi, not guilty, no true bill, retired, pretrial or postrial diversion, or completed a 40-35-313 judicial diversion probation. The extra step of having these types of cases expunged from your public record may have been overlooked. Give yourself piece of mind by call us today to make it happen for you. 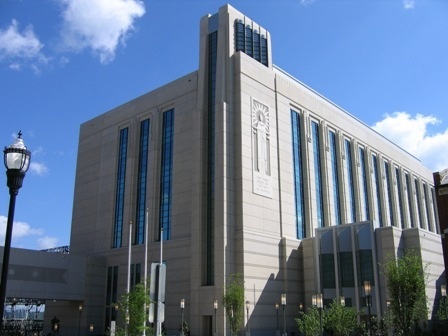 UPDATE: Tennessee Legislature has passed a new law on July 1, 2012 that enables certain felony and misdemeanor charges to be eligible for expungements even if you plead or were found guilty. If you messed up one time in your life and have not been convicted of any charge since, you could still have a clean public criminal record. UPDATE: On July 1, 2017, a new law went into effect that allows Tennessee residents convicted of no more than two (2) offenses to have those offenses expunged from their records, provided each of the offenses are eligible for expunction and are either two (2) misdemeanors or one (1) felony and one (1) misdemeanor. 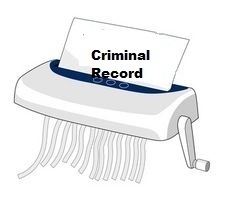 Michael K. Walker, will run a background check and see if you are eligible to have any charges expunged from your public record. If you have an expungable charge on your record the background check fee will be used as credit toward the price for getting your record(s) expunged. Nashville Divorce Lawyer, Nashville Criminal Lawyer, Nashville Personal Injury Lawyer serving Nashville Divorce Lawyer, Nashville Criminal Lawyer, Nashville Personal Injury Lawyer serving Davidson County-Nashville, Bedford County-Shelbyville, Cannon County-Woodbury, Cheatham County-Ashland City, Coffee County-Manchester, Dekalb County-Smithville, Dickson County-Dickson, Giles County-Pulaski, Hickman County-Centerville, Humphreys County-Waverly, Lawrence County-Lawrenceburg, Lewis County-Hohenwald, Marshall County-Lewisburg, Maury County-Columbia, Montgomery County-Clarksville, Perry County-Linden, Robertson County-Springfield, Rutherford County-Murfreesboro, Stewart County-Dover, Sumner County-Gallatin, Warren County-McMinnville, Williamson County-Franklin, and Wilson County-Lebanon.